Hi all. I hope your holidays are going well. I have been baking like mad and I got to take a break from holiday baking and make Sherry, my old neighbor, a birthday cake. My father was born the day after Christmas so I tried to help her forget about Christmas for a day to celebrate herself. 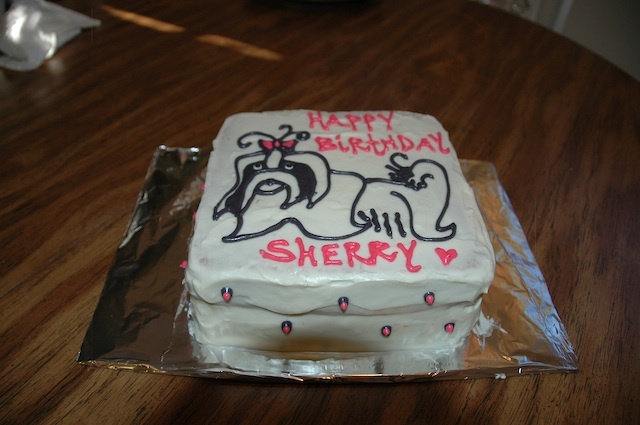 I made her a cake with a picture of a shih-tzu on it because she is mommy to an adorable shih-tzu named Cazzie.